The new speed-ribs placed across the upper of the boot improves ball control and touch at speed. 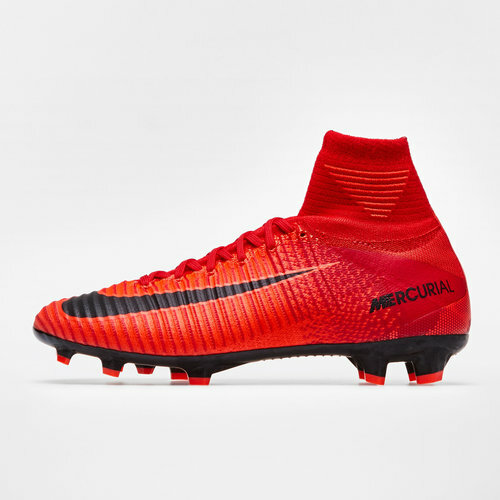 Additionally, the sole plate of the Nike Mercurial Superfly V have been completely reworked compared to that of their predecessors, including an all-new stud layout. Nike's Grip System combines to provide a locked-down fit and the Flyknit yarns integrate areas of stretch, support and breathability for a second-skin fit. The design also includes an EVA sock liner for cushioning to help relieve stud pressure.